Zoho Books is integrated with popular payment gateways and provides a hassle-free environment for collecting online payments from your customers. 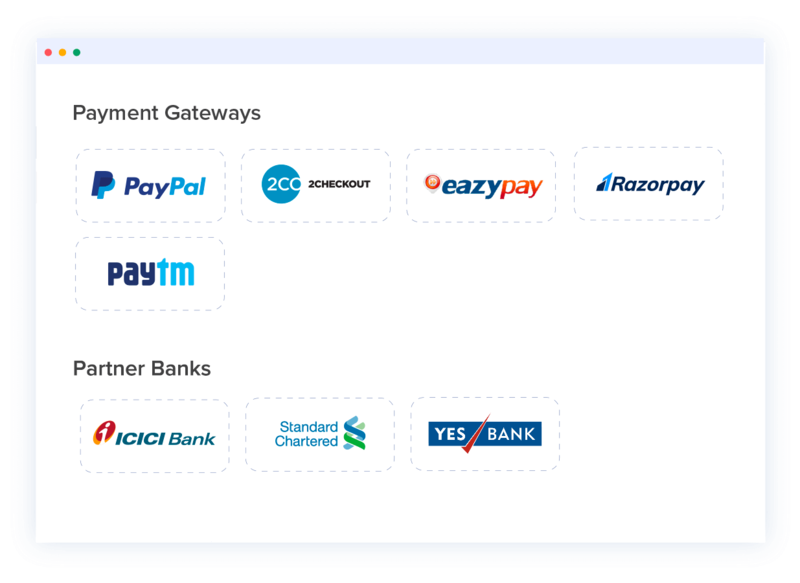 Zoho Books provides multiple payment gateway integrations. Choose one and start collecting payments instantly. Zoho Books allows you to auto-charge for recurring transactions. Collect payments automatically on a weekly, monthly, or yearly basis. 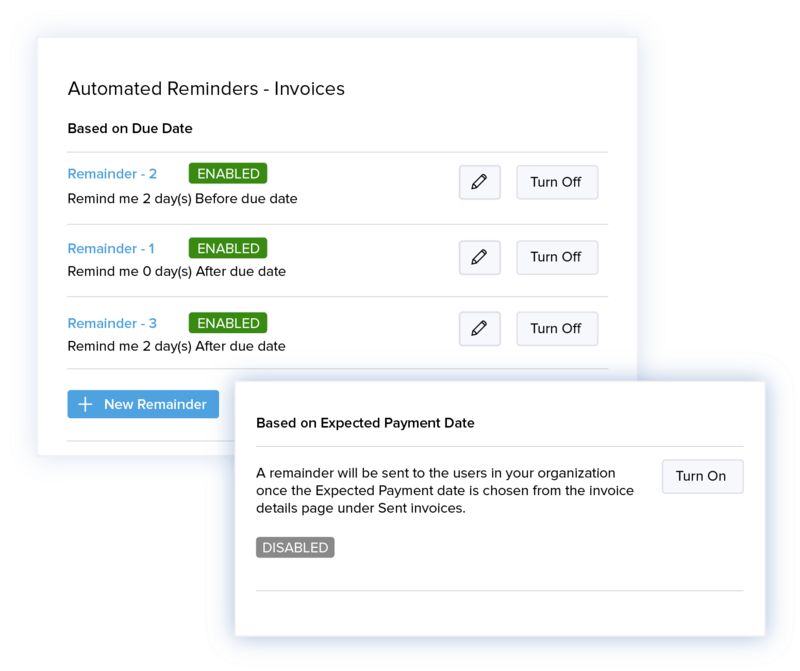 Zoho Books lets you send automated reminders to customers and eliminate the worry of chasing payments manually. 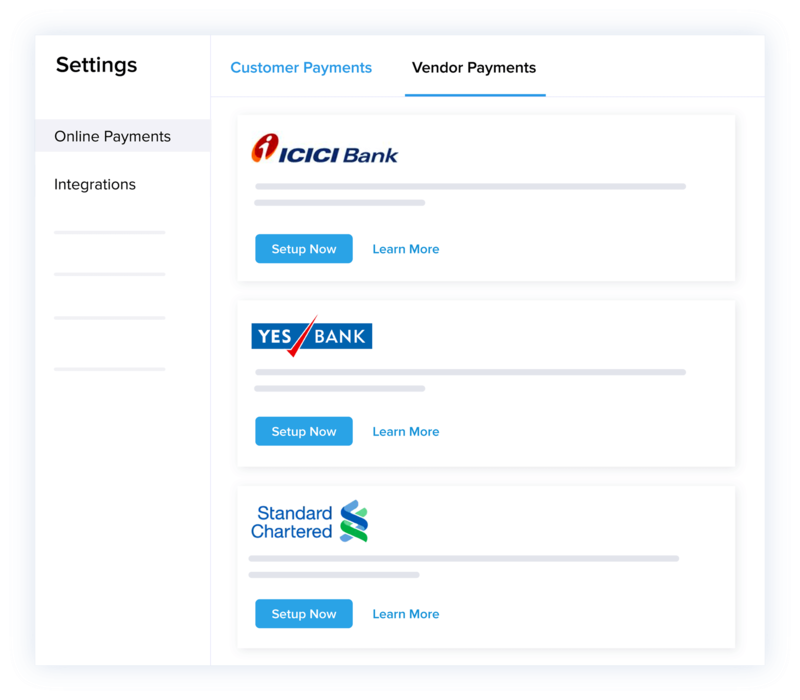 Simplify payment procedures for your customers by giving them access to the client portal and enabling direct portal-based payments. 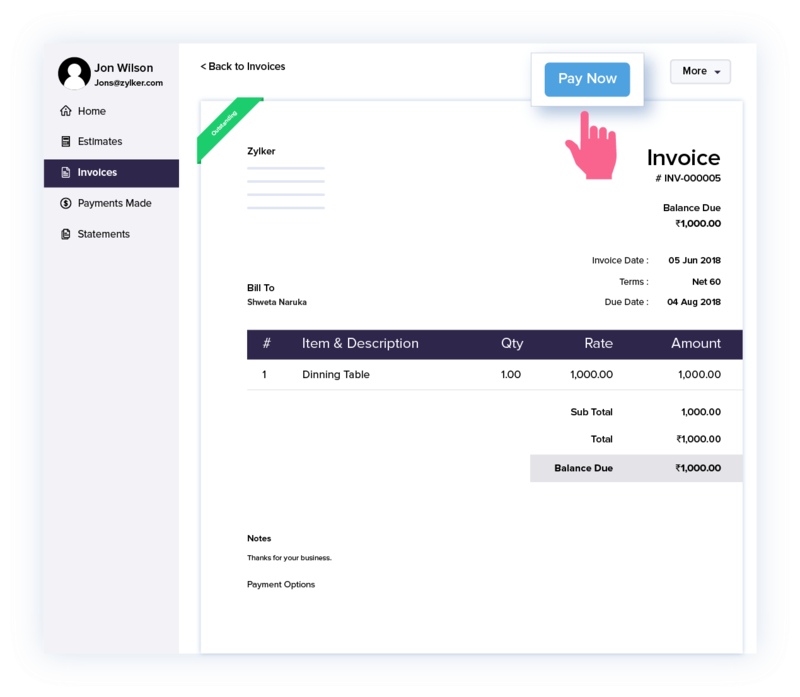 No need to record payments manually. 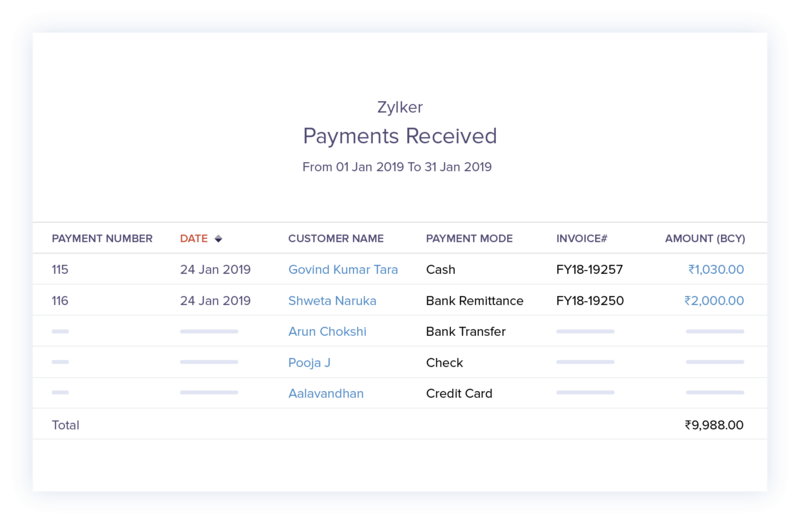 Zoho Books automatically marks invoices as Paid as soon as customers pay you. 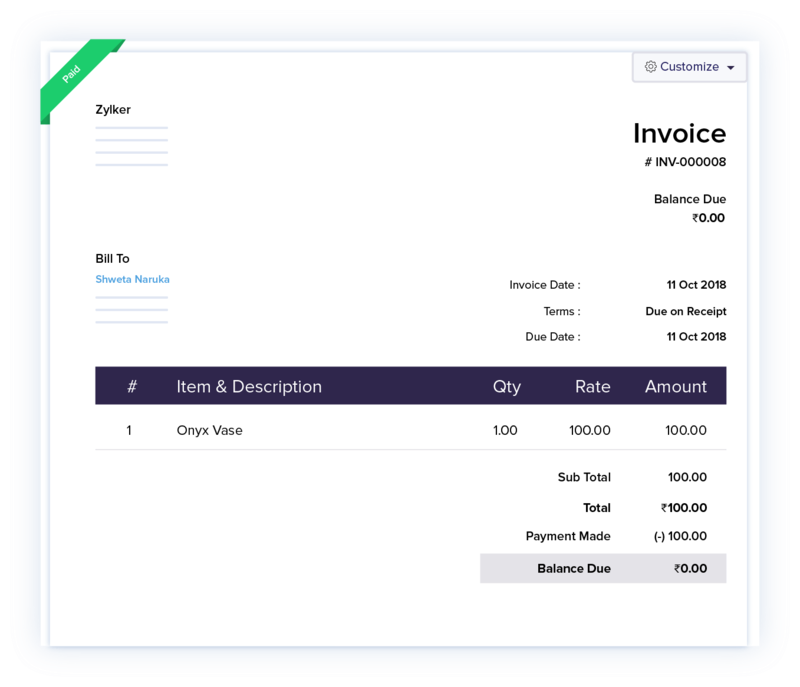 Zoho Books allows you to make and record vendor payments, so you can keep track of the money you spend on buying business supplies. 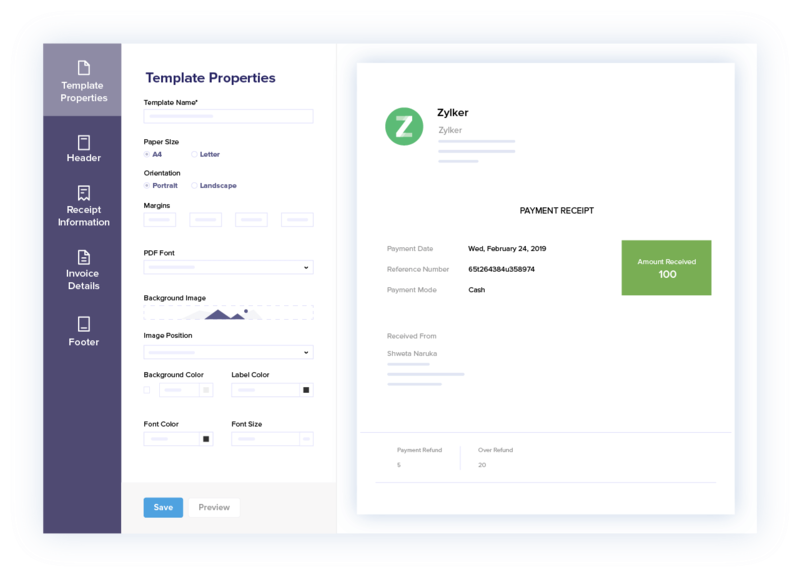 Enhance the look and feel of your payment receipts with customizable templates. Add a friendly touch by sending personalized thank-you notes to customers once payment is received. 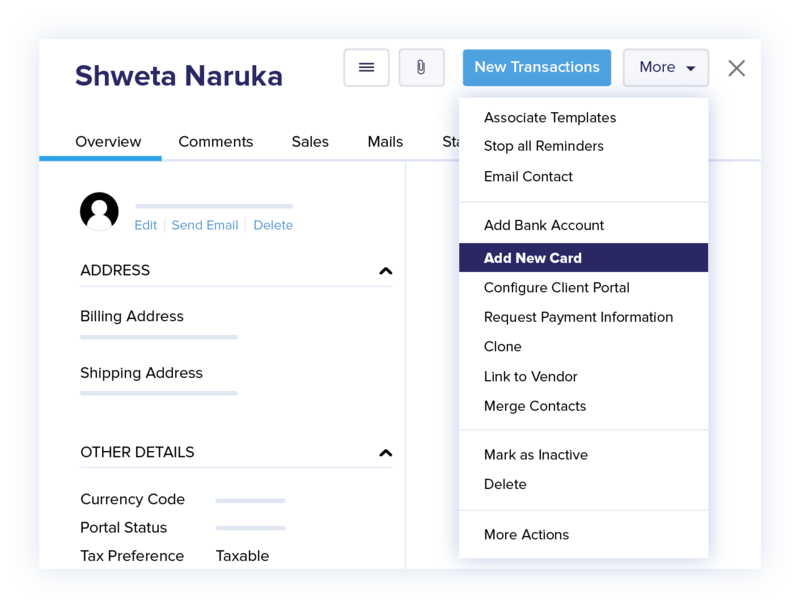 Run detailed reports on payments received, and use the information to understand your customers' payment trends and preferred payment methods. Online payments are now simple, swift, and secure.